Just as writing good code and great tests are important, excellent documentation helps others use and extend your project. Every GitHub Enterprise repository comes equipped with a section for hosting documentation, called a wiki. GitHub Enterprise Wikis are a place in your repository where you can share long-form content about your project, such as how to use it, how it's been designed, manifestos on its core principles, and so on. Whereas a README is intended to quickly orient readers as to what your project can do, wikis can be used to provide additional documentation. 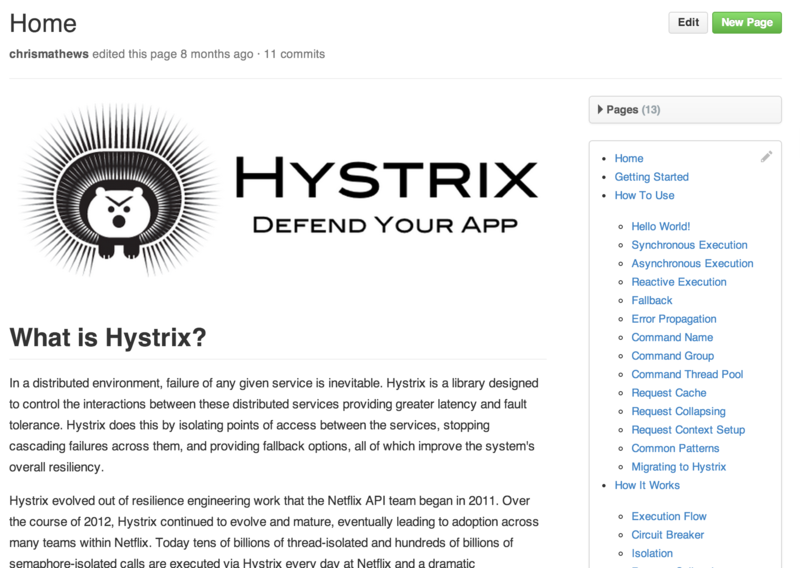 With wikis, you can write content just like everywhere else on GitHub Enterprise. We use our open-source Markup library to convert different formats into HTML, so you can choose to write in Markdown, RST, Textile, or any other supported format when you craft wiki pages. Wikis can be edited directly on GitHub Enterprise, or you can work with a text editor offline and simply push your changes. Wikis are collaborative by design. By default, only collaborators on your repository can make changes to wikis, but you can configure this to be enabled for all users on public repositories. "Adding wiki pages via the online interface"
"Adding and editing wiki pages locally"
"Viewing a wiki's history of changes"